We all know that moment all too well; you come home and you realize you lost your key and basically locked yourself out, your business is locked and you an important meeting in half an hour to prepare for, you need to get to the airport but locked outside your car. 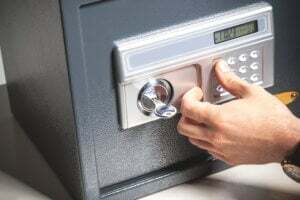 The feeling is stressful, frustrating, and most important- time consuming, a sense of emergency take’s over and all you want by that point is to unlock and move on, that’s exactly why you should always turn to a licensed locksmith that can provide you with a quick reliable locksmith service 24/7. What’s the difference between licensed locksmith to other locksmith services? Why should you ask a locksmith for his license number when all you want is to unlock your stubborn lock? Well a licensed locksmith is part of a registered company that has filed the obligatory paperwork, according to the federal government agencies rules and regulations, thereby he’s committed to sticking by them, or else he’ll lose his title. Basically what all this means is a licensed locksmith is obligated to work with integrity, he can’t demand double price on site (unless there’s a legitimate reason for it, and even then it must be approved by the company and accompanied with an invoice to prove all payments were transferred lawfully) like an unlicensed locksmith, he can’t use your information and key for anything but the current problem and he’s obligated to supply a reliable service, most important- when hiring a licensed locksmith you have someone to reach when a work is uncompleted/ if something isn’t up to standards. Fixing a lock is a complicated task; with modern locks getting more and more efficient the key is to unlock without damaging the doors, cylinders and property. You can find endless testimonials online that describe the worst case scenario: the locksmith arrives, you don’t know or care who he’s working for at the moment, he unlocks your lock, takes his money and leaves. One minute after he leaves, while trying out the new lock, you’re shocked to find your door damaged your cylinders out of place and the locksmith is long gone – leaving no insurance or liability for his work. Testimonials online have reached the federal authorities who started working on locating all online locksmith publications, but it’s a ghost hunt since with every located fraud three new appear. Let’s face it; most private clients don’t require a range of locksmith services and support. They need a quick reliable on site solution, in that case only insured locksmith can properly get the job done. With businesses and big companies the obvious choice is only licensed insured locksmith because the service is ongoing and ranges from locks to security systems act., as far as locks are concerned you should look at your home/car as if it was a business and choose only insured locksmith; the insurance guaranties you won’t be held accountable for any accidents caused during the work, damages to your property are completely insured and refundable by the locksmith company, the locksmith will only use professional tools and each work come with guaranty for several months ahead. To sum up, if you want to unlock your lock you best be aware that your door, cylinders and property are all part of the package and need to be handled by a professional. The best locksmith company in Miami, Quickly Locksmith, only hire licensed, insured locksmiths who knows how to get any job done and are quick to respond with every emergency. 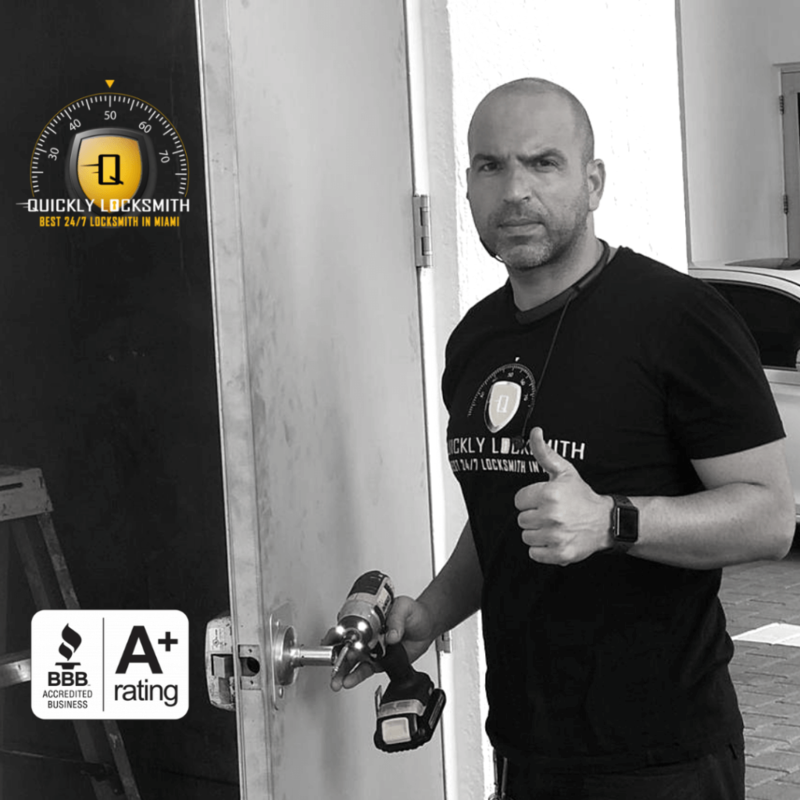 Why Quickly Is The Best Locksmith Company In Miami?